Our team serves many different types of restaurants. Whether you are a sole-practitioner, or if you have many partners and locations, our food service packages can keep the books accurate and the tax burden as low as possible. Not to be the bearer of bad news, but restaurants sometimes get audited up to 10x more often then other businesses. This is because internal controls are so difficult for them. We will make sure you are ready for anything. You did not open your business and spend all that money just to be bogged down in financial work on the weekends. Our service packages include everything you need to ensure accurate financial statements and accounts. We Wrote The Book On Restaurant Accounting...Literally. This is the definitive guide for restaurants and any food service related business on how to take advantage of the tax code and your cashflow. Discover the secrets known by accountants that can help any restaurant owner run a successful, profit-making, legal business. It is no secret that restaurant management is extremely tough; restaurants everywhere are faced with a huge amount of competition and significant challenges with customer expectations as well as staffing. Combine that with the large overhead of food and drink expenses and it’s never been more important for owners to ensure solid cash flow and take the necessary steps toward saving the most money at tax time. 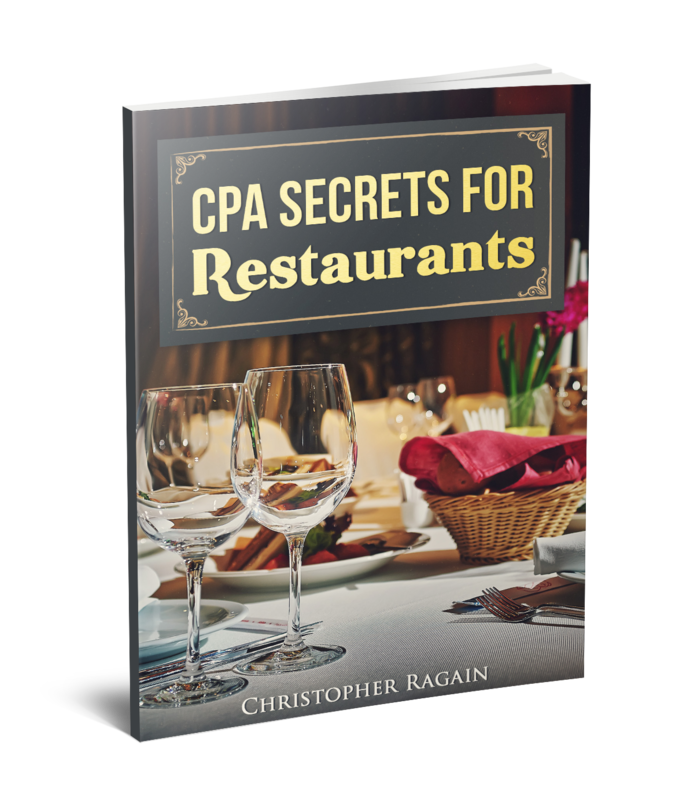 And as a special thank you for downloading our free CPA Secrets Guide, we’ve included our tips for adding revenue to your restaurant.